Utility Service Specialists | Contact us for a quote on Hydraulic Breakers! Power and versatility: whether you are breaking rock, tower concrete foundations, or are excavating, Montabert and BTI hydraulic breakers guarantee optimum performance for all of your projects. 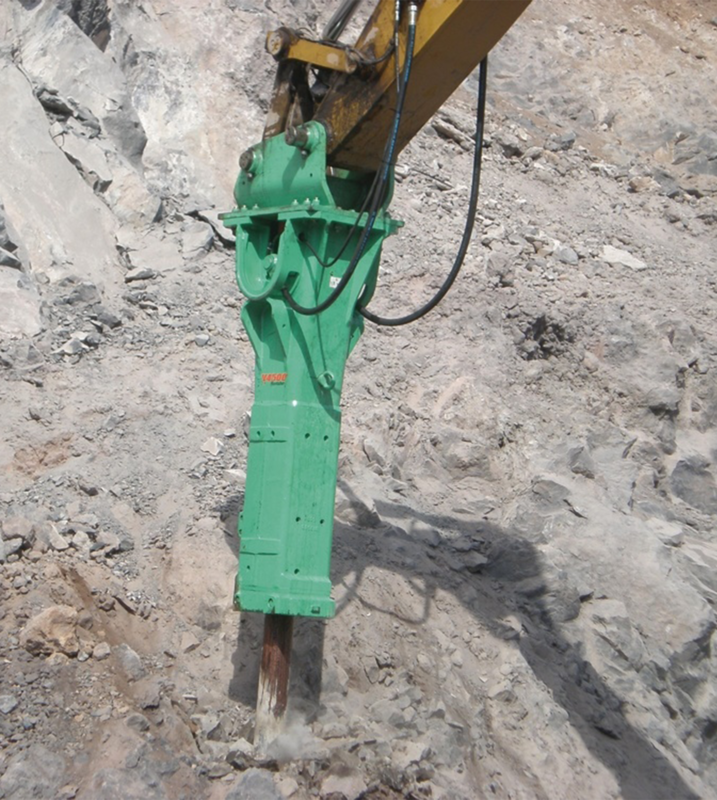 The rental of a Montabert hydraulic breaker is a no-risk investment which will maximize the profitability of your work. We have breakers in our rental fleet mounted and unmounted in the 4,500 to 12,000 lb class range to meet your needs. ML Utilities specialize in larger breakers designed for heavy demolition work, mounted on late model excavators. To keep your downtime to a minimum and help you get your job done faster, count on Montabert and BTI breakers from ML Utilities.